The First Union professor of finance at Clemson University in South Carolina, and vice president of marketing and research at Social Science Electronic Publishing, Inc. in Cambridge, Massachusetts. 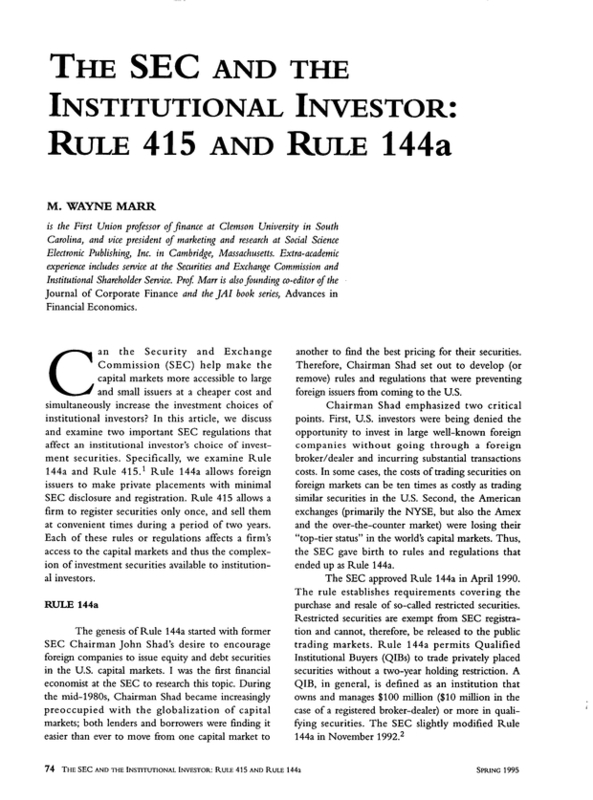 Extra-academic experience includes service at the Securities and Exchange Commission and Institutional Shareholder Sewice. Prof. Marr is also founding co-editor of the Journal of Corporate Finance and the JAI book series, Advances in Financial Economics.